Regulation Asia held its first ever Awards ceremony on Tuesday (13 November) at Zafferano’s, overlooking Singapore’s extraordinary skyline. The ‘Regulation Asia Awards for Excellence’ programme aims to annually recognise technology companies, legal and consulting firms, and exchanges that have helped shape the regulatory landscape in Asia Pacific over the past year. “Adapting to the vast number of regulations has been an ongoing challenge for financial services in Asia. Technology has been the driving force behind ensuring these requirements are met,” said Regulation Asia co-founder Nick Wakefield. More than 90 representatives from over 30 firms attended the ceremony. It was an opportunity for many of the firms attending to also bring along the clients for whom some of their projects were implemented. Firms were asked for written submissions to showcase client wins, new technologies and specific projects and solutions designed to meet changing regulatory requirements. The Regulation Asia editorial team was charged with assessing over 60 submissions received to identify those with the most merit in each category. The team conducted interviews with the shortlisted firms and some of their clients in order to obtain a more detailed picture of the strengths and weaknesses of each firm or project and enable a clear comparison between the entrants. An external panel of jurors comprising subject-matter experts was tasked with making final judgments on the shortlisted firms in each category, based on the submissions, interview data and other supporting materials collected by the editorial team. In some cases, differing views resulted in a voting process to determine the category winners. In the interest of independence in their evaluations, each juror made their judgments independently, and only in the categories where conflicts would not exist. This category recognises firms for pioneering innovative technologies to solve some of the industry’s biggest regulatory challenges, but are either in an early stage of industry adoption or have a relatively new product or solution. Exate Technology was recognised for a potentially revolutionary solution to protect data on an attribute-by-attribute basis. The firm provides a plug-and-play toolbox solution which enables an automated permissions check on individual data attributes as data enters any web-based application. Read more here. KPMG was recognised for delivering a proof-of-concept shared ledger, developed in collaboration with three banks and Bluzelle, which leverages blockchain technology to facilitate the sharing of digitised KYC information across banks and significantly reduce onboarding times. Read more here. ACUO was recognised for building a cost effective and fully automated collateral management platform for the derivatives complex, which the judges saw as both innovative and potentially disruptive. This category recognises implementations around specific regulations or regulatory requirements, recognising projects that delivered a high value in meeting a regulatory need or requirement on time, on value and on budget. SmartStream was awarded for achieving a best practice standard for processes around the complete corporate actions management lifecycle, and in particular, the implementation of this standard at a leading Japanese securities firm. Read more here. FIS was awarded for automating the front-to-back commercial loan origination processes and regulatory compliance for a leading bank in the Philippines, helping it to improve customer service and enterprise-wide risk and profitability management. AxiomSL was awarded for bringing together leading financial institutions in Singapore to collaborate on defining a data taxonomy to simplify and streamline MAS 610/1003 compliance reporting. In the process, the firm helped participating banks achieve a common industry understanding of the complex data ask. Read more here. PwC was awarded for its work in supporting 6 of the 7 D-SIBs in Singapore and more than half of the world’s G-SIBs in meeting the requirements of the BCBS 239 principles for effective risk data aggregation and risk reporting. Read more here. This category recognises firms that are playing a leading role in developing emerging technologies to meet regulatory requirements, specifically crediting those that are providing real working use cases of their technology. Silent Eight was the ‘Winner’ for helping banks optimise customer name screening, transaction monitoring and payment screening processes, which have traditionally been manual and time-consuming. The firm uses machine learning algorithms to screen client entities against sanctions lists, criminal records, court cases and other public and private data. Read more here. encompass was ‘Highly Commended’ for helping firms gain efficiency and certainty in their KYC processes, having developed an innovative solution that uses advanced intelligent process automation (IPA) and artificial intelligence (AI) to gather and analyse data from over 100 data sources to build comprehensive KYC profiles for onboarding, event-driven refresh and remediation. Read more here. Datarama was the ‘Winner’ for its technology-enabled interactive mapping and cross-checking tool, which gathers data from specialised media, deep web sources and official records to visualise key relationships, unearth obscure information and highlight hidden associations, thereby helping firms to fast-track KYC, due diligence and deal identification. SWIFT was the ‘Winner’ for a compliance analytics tool that enables financial institutions to analyse all of their payments traffic and obtain a complete global view of branch and correspondent banking activity across all group entities, so they can better understand where to focus their investigations. Read more here. Amazon Web Services (AWS) was the ‘Winner’ for providing reliable and robust cloud infrastructure with comprehensive controls to help financial institutions meet ever-growing requirements relating to operational risk, cyber security and data privacy, among other technology related risks. This category recognises solutions that are designed with specific regulatory requirements in mind, assessed on multiple criteria, including the ease and speed of implementation, flexibility, robustness, scalability, transparency, technical support, cost and return on investment for end clients. Wolters Kluwer was the ‘Winner’ for a solution used by some of the largest banks in Asia Pacific to meet their regulatory reporting obligations. Key differentiators were the solution’s regulatory update service, its newly launched business analytics solution suite, and the firm’s community-building client engagement activities. Read more here. Moody’s Analytics was ‘Highly Commended’ for the comprehensiveness of its regulatory reporting solution, enabling banks to manage global regulatory reporting obligations from within a single platform while also automating the collection, processing, data validation and submission of reports to regulators in more than 50 countries. Read more here. 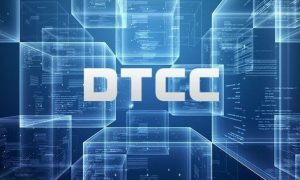 DTCC was the ‘Winner’ for its global trade repository business, which has become a critical tool for regulators in managing systemic risk. The firm launched a re-architected platform in Australia and Singapore this year, bringing improved usability, reduced complexity and increased transparency to users, and was also instrumental in helping reporting entities in Singapore prepare for the latest phase of MAS reporting requirements. Read more here. BearingPoint was the ‘Winner’ for its standardised and ready-to-use tax reporting software, which is in use at some of the biggest banks in Asia Pacific, enabling them to report to tax authorities across the world, including for FATCA and CRS, from a single centralised platform. Read more here. Appway was the ‘Winner’ for offering an end-to-end onboarding platform with automation capabilities that serve to increase front and back office efficiency and effectiveness for over 420,000 users worldwide, at some of the largest global and local financial institutions. Read more here. Veridate was ‘Highly Commended’ for its a fully integrated end-to-end client onboarding solution with an automated workflow engine and plug-and-play features that reduce onboarding times to just 28 minutes. The firm’s current clients include wealth managers, investment banks, corporations and cryptocurrency exchanges. The SWIFT KYC Registry was the ‘Winner’ for providing a global standard for correspondent bank data and documentation, validated independently and housed securely in a utility that lists over 5,000 financial institutions in 220 countries as participating entities. Read more here. Bloomberg Entity Exchange was the ‘Winner’ for its web-based platform that offers a new way to manage and streamline the exchange of data and documents required for KYC purposes with strong pick-up across banks, asset managers and hedge funds across Asia Pacific. Read more here. Moody’s Analytics was the ‘Winner’ for its RiskFoundation solution, which consolidates risk and finance data from different systems into a single, common system of record, conducting extensive data quality checks in the process and facilitating operational efficiency, enhanced reporting capabilities and risk analysis. Read more here. SIX was the ‘Winner’ for providing a service for global monitoring of sanctioned securities which automates the complex process of matching individuals, companies and beneficial owners against regulators’ sanctions lists, and adding them to a do-not-trade list that is distributed daily and minimises the risk of reputational damage and large fines. Read more here. Actico was the ‘Winner’ for an integrated software platform that automates complex decision processes for regulatory compliance by linking cloud and machine learning with rule technology. The platform is in use at fintechs, banks, leasing companies, insurance companies and financial service providers in over 30 countries. KPMG was ‘Highly Commended’ for its work in Taiwan to develop GRC solutions to help banks with new rules that require them to implement firm-wide risk management systems which must be able to monitor regulatory changes and directly link these changes to the related controls and processes required for compliance. Read more here. Nasdaq was the ‘Winner’ for its SMARTS solutions which provide surveillance coverage across all asset classes and sources complete order, execution, market and news data, including private trading data, directly from exchanges via customised exchange feeds and drop copy connections, setting the industry benchmark for real-time, cross-market and cross-asset surveillance. Refinitiv was the ‘Winner’ for its World-Check One platform, which utilises intelligent search and machine learning algorithms to reduce false positives and improve content navigation, leading to better decision making and risk management, and helping compliance teams pinpoint media content most relevant to regulatory requirements. Read more here. LexisNexis Risk Solutions was ‘Highly Commended’ for its fully integrated compliance platform that enables organisations to consolidate compliance processes, standardise controls and bring enterprise-wide operational consistency. It employs an innovative fuzzy-logic matching algorithm to achieve a significant reduction in false- positives. This category recognises firms that are integral to financial services at the industry level, providing services to financial institutions, technology firms, regulators, market participants and a range of other stakeholders. SGX was the ‘Winner’ for demonstrating its focus on ensuring a fair, orderly and transparent marketplace, in recognition that protecting investors and fostering trust in the exchange and the companies listed on it are part of its role. The establishment of SGX RegCo represents a commitment to pursuing meaningful regulation, encouraging good behaviour and governance, and deterring misconduct. Herbert Smith Freehills was the ‘Winner’ for its work across Asia Pacific in key focus areas for regulators, such as its role in advising on 5 of the 8 ongoing SFC investigations into IPO sponsor misconduct and advising financial institutions on AML investigations in the leadup to Hong Kong’s upcoming FATF assessment. The firm’s engagement with regulators and associations such as ASIFMA also stood out among judges. Read more here. Clifford Chance was ‘Highly Commended’ for its work on economic sanctions and trade controls. It is the only international law firm with a fully staffed team of US-qualified economic sanctions experts based in Asia, allowing it to advise Asian clients on compliance with US sanctions laws and regulations in the context of cross-border business. KPMG was the ‘Winner’ for demonstrating strong domain expertise and its ability to understand the views of regulators as well as the entities they regulate, a position strengthened by its diverse team of consultants that includes compliance specialists, technology experts and former regulators. The firm was able to demonstrate its strengths across the Asia Pacific region in a wide range of regulatory themes. Read more here. PwC was ‘Highly Commended’ for their work in the AML/KYC space, helping major banks with remediation and implementing preventative measures. The firm also has demonstrated domain expertise in the areas of BCBS 239, IFRS 9, data ownership, and change management, among others, bolstered by a strong team and collaborative culture. Read more here. Regulation Asia would like to offer our sincerest thanks to our jurors for their hard work throughout the judging process. The judges included Philip Keller, Guan Seng Khoo, Jean-Remi Lopez, Derek McGibney, Lapman Lee, Matthieu Sachot and others who preferred anonymity. In recognition of the considerable effort that was put in from across the industry to participate in the Awards programme, we would also like to thank all the teams from firms who entered the awards. Regulation Asia is honoured to have played a part in developing this platform as a way to meaningfully recognise the work the industry does each year to keep up with rapidly changing regulatory requirements.